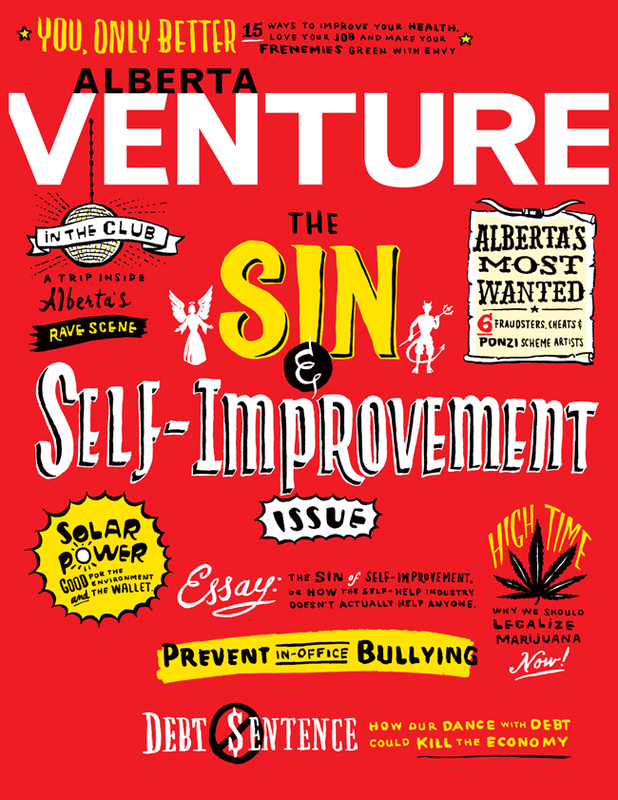 The Alberta Magazine Publishers Association is pleased to announce the finalists of the 2013 Alberta Magazine Awards and we are delighted that this cover art created by Greg Stevenson for art director Kim Larson, is one of the award winning covers. Feeling inspired by the subject matter, Greg went to town covering all the sinful bases with his first sketch (above)! And this is the award winning cover art!